Custom Designs, Marketing, and More Selling Tools for Your Ultimate Success! Hi, my name is Tonya and I have been selling on eBay since 2006. I am a Certified eBay Stores Designer, Social Media Marketer, and Blog Writer for sellers to help increase their sales and traffic to their stores and listings by writing blogs for them. I have more tools available in my Etsy Shop. I also have 2 FREE eBooks in my Etsy Shop that are jam packed with eBay Selling Tips and Tricks and also an eBook about selling on Etsy too! To make more sales on eBay, you have to find a product that is selling really good on eBay! I have worked with hundreds and hundreds of eBay sellers since 2006, so I know exactly what sells and what does not! In your eBay store, you should have a lot of high priced items and also low priced items that way you can appeal to a larger audience. It is also best to run 99 cent auctions on eBay per store category that you are selling in. Whether you lose money selling the item for only 99 cents....that's not the point here. The point is...that you will be getting more visitors to your store who will see all of your higher priced items!!! Thus you will be making more sales!!! Trust me on this and at least try it! I have and YES it does work! So start today on eBay! What are you waiting for? What do you have to lose? Nothing! You will never know unless you try! and for be sure to get your FREE eBay Promotion! 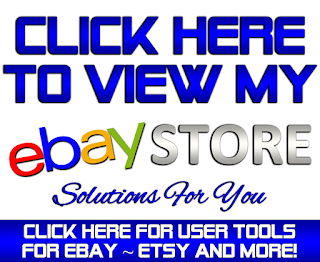 I have been custom designing eBay Stores and eBay Auction Listing Templates since 2006! I also promote eBay items for sellers on my Facebook Fan Page, my personal Facebook Page, also on my Twitter, and on Blogger! I can also promote your items on your own Social Media accounts. It is all up to you on how you want to do it. Please check out my store to learn more! You can get designs for only $25, $50, and up. The more you spend...the more you will get such as eBay promotion and blog designs too! ~ For FREE eBay Promotion, please check out WheresYourBid! "MY DESIRE IS TO SEE YOU SUCCEED!" 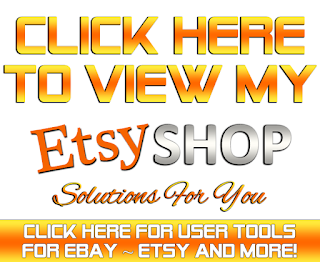 Check out my Custom eBay Store Designs, eBay Promotion, Blog Designs, and more! FREE eBay Selling Tips, Promotions, and more! Custom Blog Design by TonyasDynamicDesigns. Simple theme. Powered by Blogger.